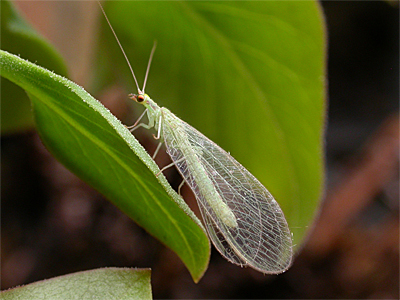 Lacewings (order Neuroptera) are common insects, with many of these being colloquially termed as being 'Green Lacewings'. 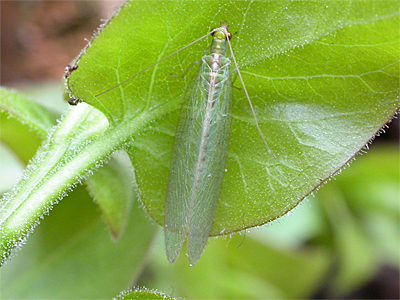 Chrysoperla carnea is one of only two species to overwinter as adults. The larvae are not usually quite so obvious, although some make themselves more conspicuous by adorning themselves with the skins of their Aphid prey. The adults are nocturnal, but commonly disturbed from foliage during the day and are regularly attracted to outside lights. 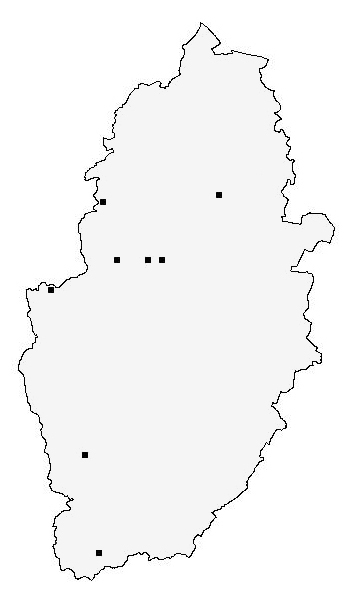 The records for the Nottinghamshire distribution map are currently provided by the following contributors - Sherwood Forest Trust. Sherwood Forest Trust (2008 Oak Tree Heath invertebrate survey). Trevor and Dilys Pendleton. Nottinghamshire Wildlife Trust. NBGRC.